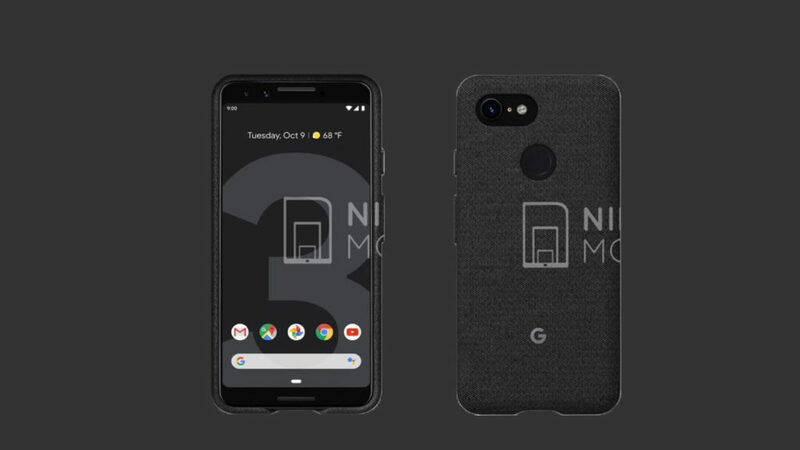 Google has scheduled to launch new flagship device the Pixel 3 models to launch event for October 9th and we already know so much about both the phones Pixel 3 and Pixel 3 XL, After several rumors, Google has officially announcement confirmed its hardware event on October 9th in the New York City. The invite has the number ‘3’ to indicate that the Pixel 3 series will be unveiled thanks to numerous leaks. While the bigger Pixel 3 XL never backed out from posing to leaksters, surface in more press images, reveals new fabric case the Pixel 3 stayed under the wraps for quite some time. 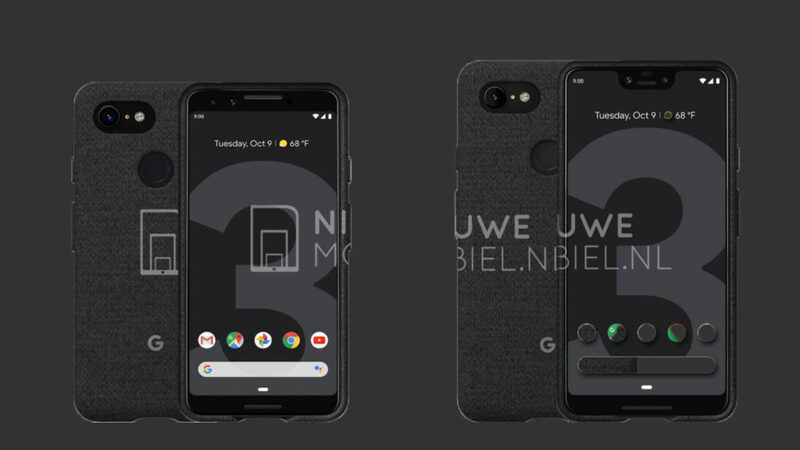 However, that void ends today as both the Pixel 3 and Pixel 3 XL surfaced freshly in official press renders. 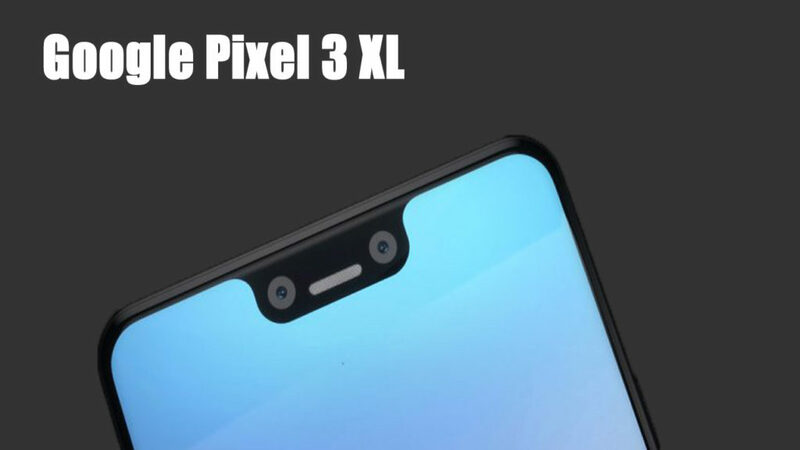 According to recent rumors, the Pixel 3 will have a no-notch expected to sport a 5.4-inches 18:9 aspect ratio screen while the Pixel 3 XL will have a large 6.2-inch 19:9 aspect ratio screen with a notch on above screen. it runs on latest Android 9.0 Pie and both powered by the Snapdragon 845. The new upcoming flagship phone OnePlus 6T and LG V40 ThinQ triple rear camera also coming on October 2018. According to techradar Pixel 3 XL specs including a 6.2-inch (1440 x 2960) 19:9 aspect ratio display with a notch, Snapdragon 845, 6GB RAM, 64GB/128GB of internal storage, 12.2 MP rear camera f/1.8, 27mm, 1/2.55″, 1.4µm, OIS, dual pixel PDAF & laser AF according to gsmarena, Dual 8.1MP front camera and a 3,430mAh battery. one for IR face unlock and dual front speaker, glass + metal back, rear-mounted fingerprint sensor. According to recent rumors, the Pixel 3 will have a no-notch and sports a 5.4-inches Full HD+ (2160 x 1080) 18:9 aspect ratio display, dual front speaker, glass + metal back, rear-mounted fingerprint sensor, Snapdragon 845 SoC, 4GB RAM, 64GB / 128GB internal storage, 12.2 MP rear camera f/1.8, 27mm, 1/2.55″, 1.4µm, OIS, dual pixel PDAF & laser AF according to gsmarena Dual 8.1MP front cameras with f/1.8 and f/2.2 aperture, respectively, one for IR face unlock and a 2,915mAh battery. Support for wireless charging. Both the phones are said to come bundled with USB Type-C 3.1 headphones and comes with stereo speakers. The Google Pixel 3 and Pixel 3 XL are expected to come in a brand new mint color and Pink color options. We should know the pricing and official release date once the phones go official next month. It will also available from T-Mobile , Verizon, Sprint, AT&T, Best buy at Online.